October 10, 2017 the meeting of the Committee on Foreign Affairs was held. 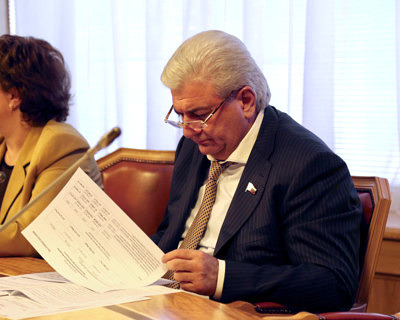 During the meeting the deputies considered the bill No. 274618-7 “On the federal budget for 2018 and for the planning period 2019-2020”. Members of the Committee also approved and voted for the ratification of Bill No. 242946-7 “On Ratification of the Treaty on the Basics of Relations between the Russian Federation and the Republic of Suriname”.